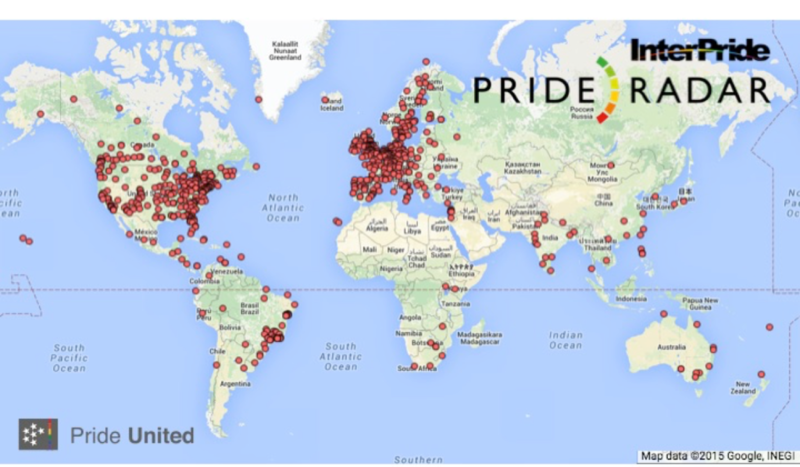 Pride Radar – a growing number of Prides around the world! Since InterPride started its Pride Radar initiative in 2012, almost 800 Pride celebrations have been identified around the world. InterPride’s Vice-President and author of the 2014 and 2015 Pride Radar report Frank van Dalen and his team are discovering new Prides on a weekly basis. “With the global Pride movement growing, we see new Prides coming up in hostile environments, but also in smaller cities in the Western world” van Dalen says. At the same time the distribution of Prides does reflect the social and legal climate for LGBTI-people around the world. Many Prides are expectedly held in relatively friendly areas,of the Western world, such as in Canada and the United States. A high density of Prides are similarly held in the Northern and Western parts of Europe. Until recently, Prides organized in Eastern Europe would meet resistance from both authorities and the public.Regrettably, Prides are rate in Africa and the Middle East, where the death penalty is often still in place against homosexuals. In India, Prides are very often molded in the form of a typical movie festival. In China, InterPride has only identified three Prides so far. Although homosexuality itself is not criminalized there anymore, a significant social taboo still exists. At the same time, the Chinese government is extremely reluctant to allow big public demonstrations taking to the streets. With India and China each registering over one billion inhabitants, including tens of millions of LGBTI people, we anticipate that changes in the legal system and in the social climate will allow the Pride movement in both countries to grow in the years to come. e bump from the previous estimate of five celebrations!. Language barriers, varying naming traditions for Pride events and the absence of many smaller Prides on the internet are all reasons that make it hard to identify all Prides without local stakeholders. 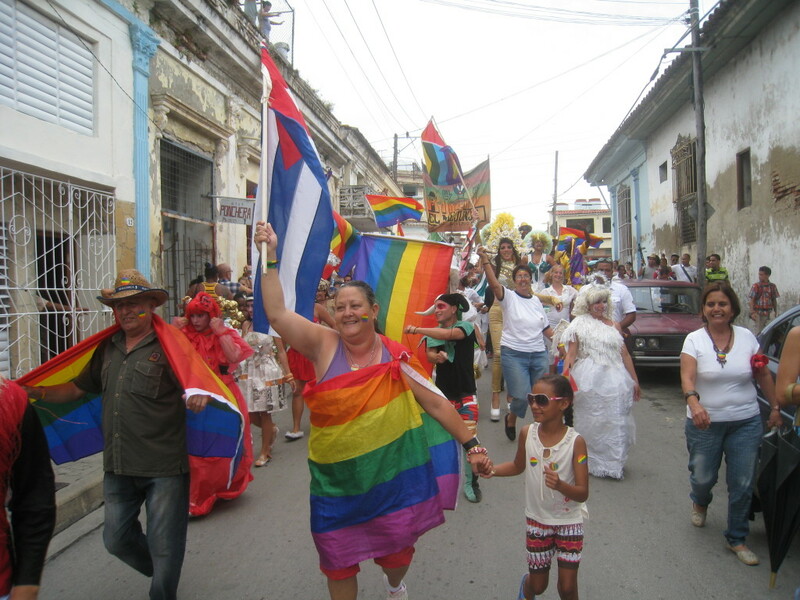 As an example, Pride events exist in Cuba, but they are held over the five-day period of IDAHO week, in a different city every day! This kind of format is difficult to track. In the years to come, the Pride Radar team will continue working to identify new Prides around the world and collect data characterizing these Prides. It will help InterPride to support the growth of the global Pride movement, and it will provide the crucial data and information needed by those who keep working for a more LGBTI-friendly world. If you want to see if your Pride is already part of the Pride Radar, or if you want to add additional information to the Pride Radar database, please go to www.interpride.org where you will be redirected to the Pride Radar. For more information you can also contact frank.van.dalen@interpride.org.